Dai-Lin HSIEH, one of the most talented zheng performers of her generation, is very active on stage as a soloist and chamber music player in Taiwan and abroad. Performing with precision and astonishing techniques, She has been invited to perform in China, Singapore, Macau, Hong Kong, Japan, United States, Canada, Germany, Swiss, Luxembourg and Belgium. Dai-Lin has received numerous awards: nominee of the Best Album in the Traditional Music Category, 22nd Golden Records in Taiwan (Treasures of Zheng: An Album of Zheng Music); winner of The 2010 Star of Traditional Taiwanese Music & Culture Ambassador of Tainan; Laureate of The National Concert Hall’s Traditional Music Star in the Silk & Bamboo Ensemble Category (2010) as well as in the Zheng Soloist Category (2007); Second Prize and the Best Performance of the Designated Work in the 2007 Zheng Competition of the Taipei Chinese Orchestra. In recent years, Dailin has given many solo recitals internationally and premiered a number of important Taiwanese zheng compositions, including Fan Wei-Tsu’s Star Dusts (2008), Dark Angels (2010), Teresa Deng for Zheng Duet (2011, premier in China), Zheng Concerto Arabesque (2014), Wang I-Yu’s Mi (2011), and Wei Chih-Chen’s Between Stream and Hills III (2012). Her solo CD Zheng Image, released in 2014, is a collection of new compositions, and it has quickly met critical acclaim. 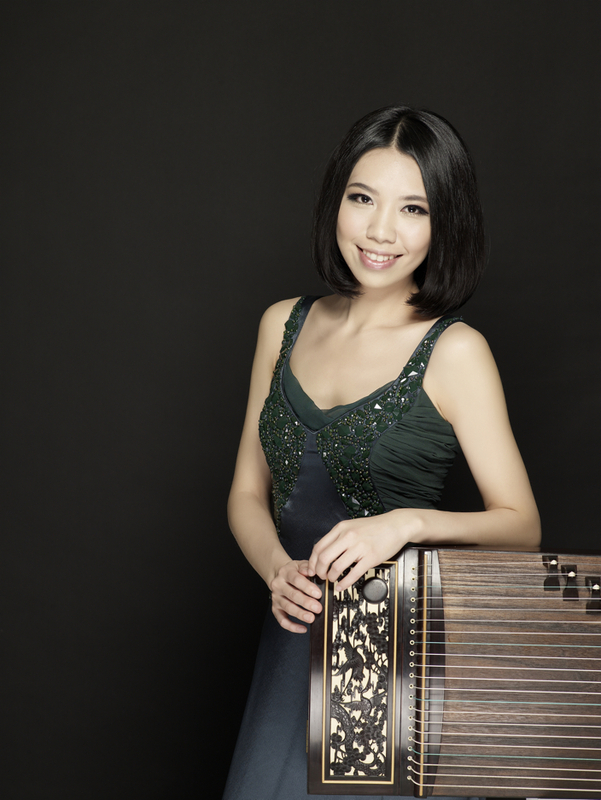 Dailin is the founder of Augmented Sixth zheng ensemble, a soloist with the Little Giant Chinese Chamber Orchestra, and she performs regularly with the Taipei Municipal Chinese Orchestra and Wei Yi New Chinese Music. As an educator, she teaches at a number of music schools in Taiwan, from high schools to universities. Graduated from National Normal University with a Master’s Degree in Ethnomusicology and from National Tainan University of Arts with a Bachelor Degree in Music, Ms. Hsieh started studying zheng at the age of six. Her teachers were Chen Li-Hua, Cheng Te-Yuan, Huang Chun-Shi, Huang Wen-Ling and Fan Wei-Tsu. Chun-Te Liu (Guzheng) is deeply rooted in traditional Chinese music. He graduated from the Chinese Music Department at Tainan National University of the Arts, majoring in guzheng. Later he studied composition at Chiao Tung University in Hsin-Chu, Taiwan. He now works as a dancer with a number of Taiwanese dance companies, while contributing as a composer and performer on the zheng.